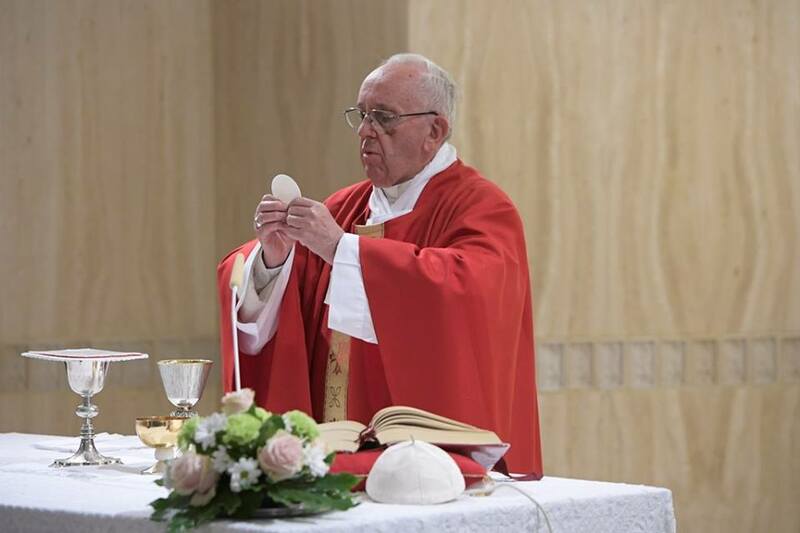 The Pope gave several keys that can be used in teaching adoration: “it is an uphill journey with the memory of election. We can only arrive there with the memory of having been chosen, of bearing within our heart the promise which pushes us to keep going with the covenant in our hand and in our heart.” In the presence of God’s glory, he said, “words disappear, we do not know what to say.” Anticipating tomorrow’s reading, Pope Francis suggested that we too use the only two words that Solomon was able to utter—“listen and pardon”. It would good for us to take some time today, he said, to remember our journey, “the memory of graces received, the memory of election, of the promise, of the covenant.” And thus to go up towards adoration.